FULL TIME - The final whistle sounds in Durban! The Sharks have put on an absolute clinic this evening, dominating in all aspects of the game. 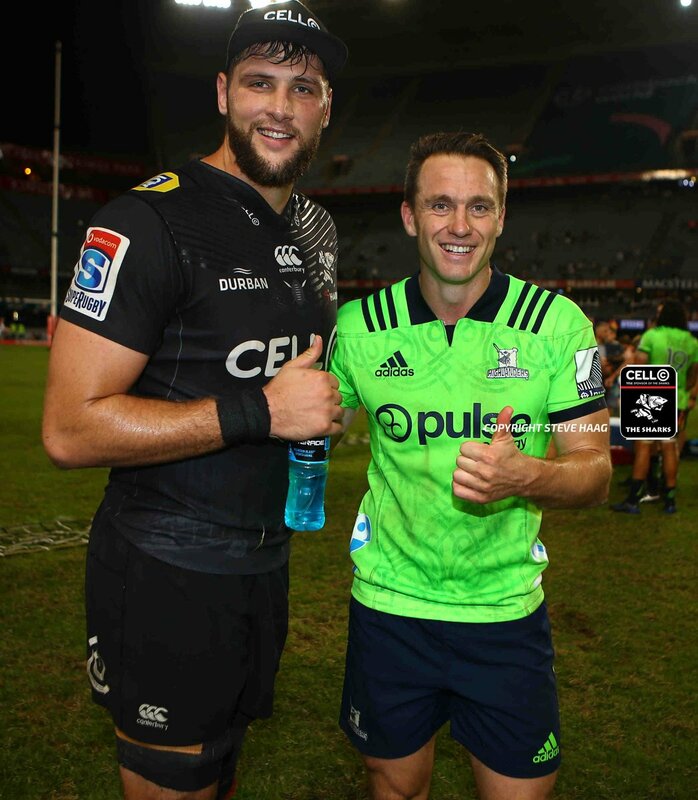 As was the case in the first, the home side started the second half brilliantly and scored the first three tries to put this game beyond any doubt - the Highlanders scored a late consolation try but by then the match was all but over. The Sharks keep their season alive with a comprehensive 38-12 dismantling of the Highlanders. The siren sounds in the background with just enough time for one last scrum - it's the Sharks with the feed just short of half way. The Highlanders have the scrum feed but are pinned down deep inside their 22 - their only hope from here is to score a try which would strip the Sharks of the bonus point. MISS! 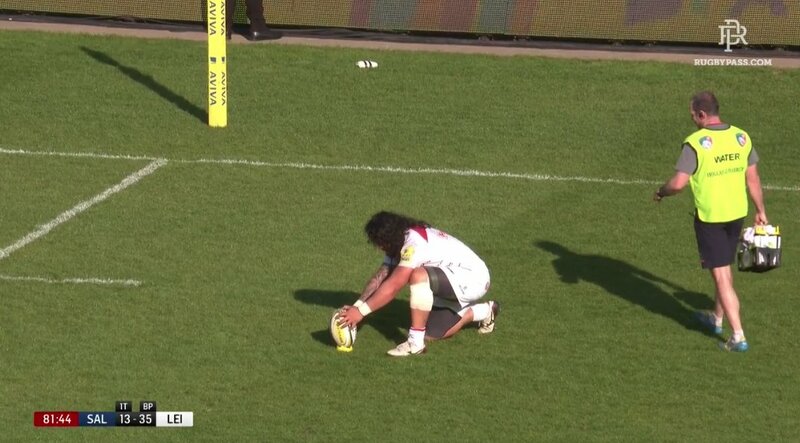 The conversion attempt from Josh Ioane looks good off the boot but misses narrowly out to the left hand side. The Highlanders finally click into gear! Ben Smith with a weaving run across the field opens up the defence before floating a delightful pass out to the unmarked Teihorangi Walden who makes a dart for the corner and scores a consolation try. A break in play whilst Philip van der Walt receives some treatment - he eventually is forced to leave the field with what appears to be a broken nose. Another scoring opportunity is spurned by the visitors as the handling errors continue to mount against the Highlanders - the ball has been lost forward right on the Sharks' 22m line. 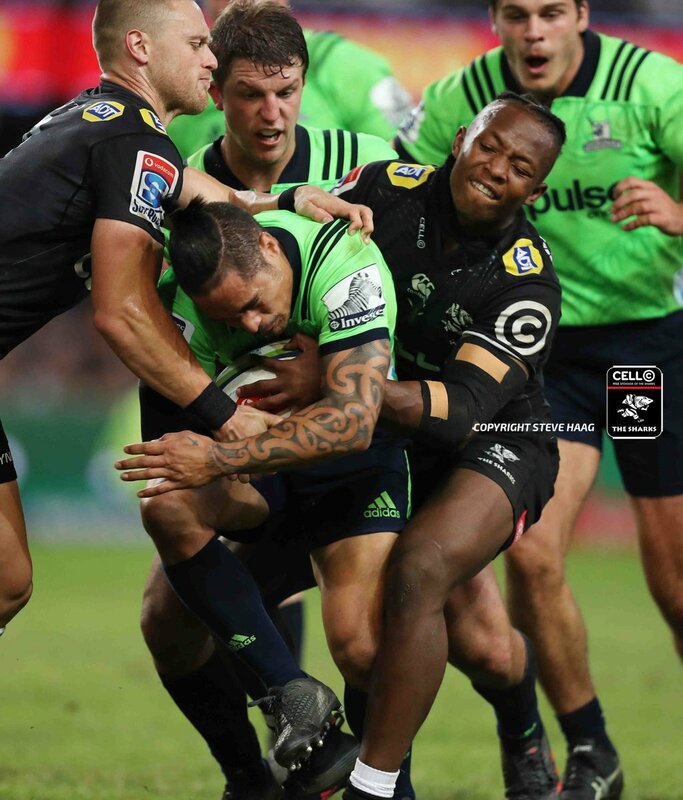 The Highlanders mount a rare attacking foray inside Sharks' territory - the only thing that the visitors can salvage from here is pride on what has been a disappointing night to say the least. 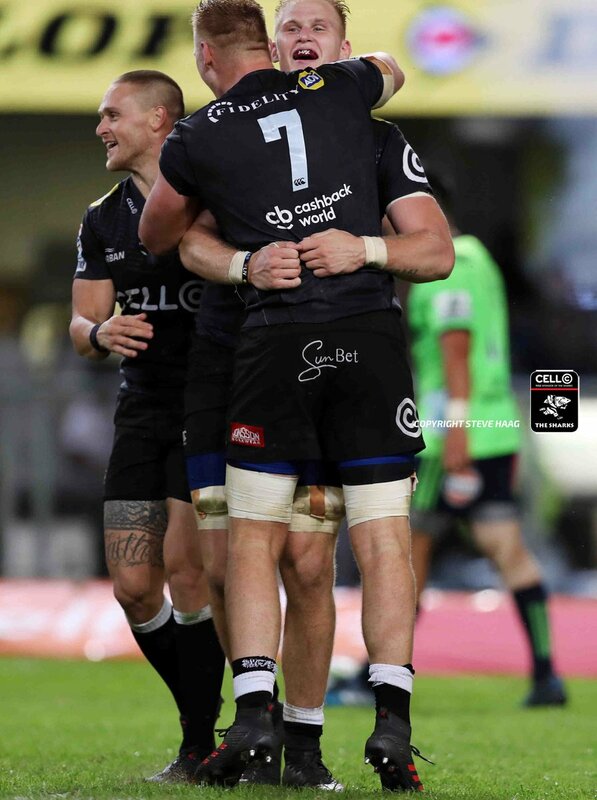 The Sharks continue to pile on the points in Durban! 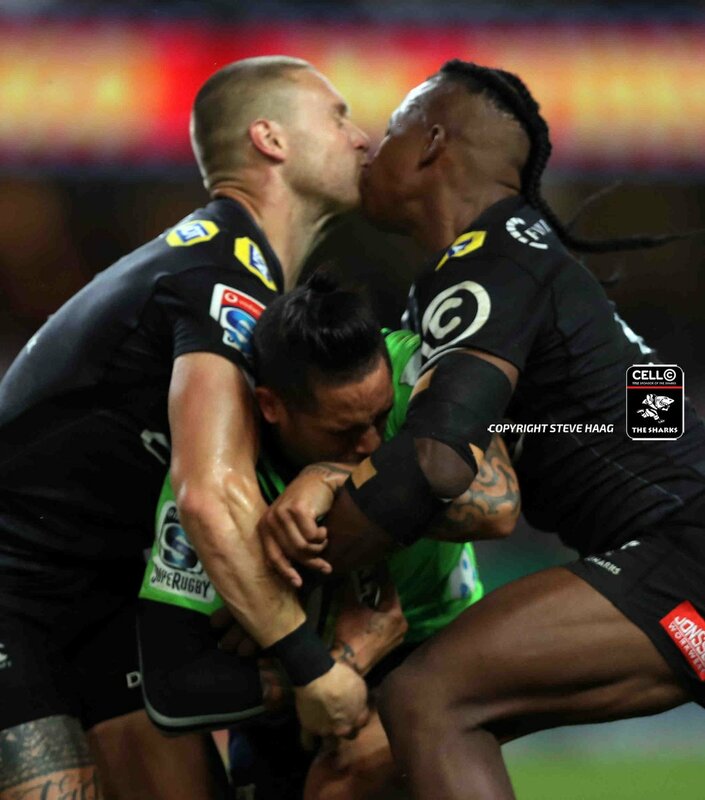 Curwin Bosch lights up the stadium with an explosive burst - just as he is about to be dragged down in the tackle, he manages to fling the pass inside to Rob du Preez who, with just the try line ahead, pins his ears back and finds the paint. The Highlanders just have not been able to click into gear at any stage in the face of enormous pressure from the home side - a handling error here gifts possession back to the Sharks. And that is surely the ball game now for the home side! Rob du Preez cleverly rolls a grubber kick into the in-goal area to the advantage of the flying Sbu Nkosi who flings himself at the ball and touches down just inside the line. We cross the hour mark and the situation is growing increasingly dire for the Highlanders who are at least three converted tries from the lead having scored only one in the match so far. A break in play with Rob Thompson receiving treatment behind play - the outside centre eventually gets to his feet and looks set to continue. 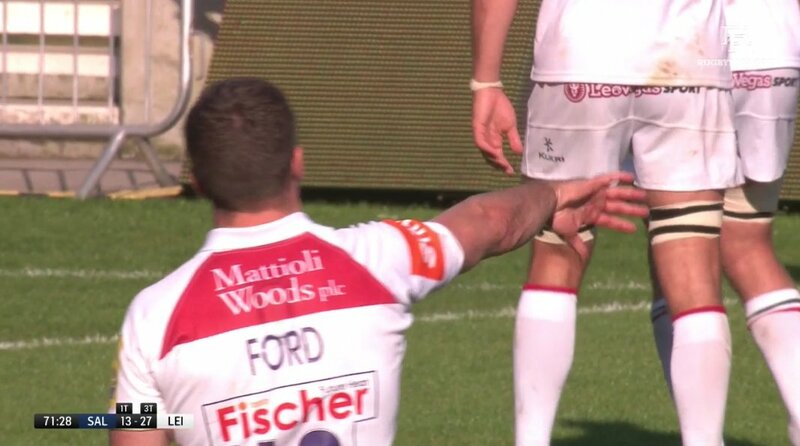 The condition of the surface continues to deteriorate as this match wears on and the ref is forced to bring the scrum into the middle of the field to allow the forward packs to get a solid footing. The Sharks continue their dominance at the break down and win another turnover but it is all to no avail after Cameron Wright couldn't get a handle on the pill. André Esterhuizen manages to get the ball away but the pass under enormous pressure to Makazole Mapimpi goes to ground - a scrum feed to the Highlanders inside their own half. A solid scrum from the Sharks is rewarded with a penalty - all the indicators are looking good for the home side who enjoy a comfortable lead and are right on top in general play. Terrific work at the breakdown from the Sharks who prevent the ball from coming out and as a result are rewarded with the scrum feed. The Highlanders have a happy knack of finding a way to win from all sorts of positions but they have their work cut out for them in the next half hour if they are to manufacture a victory from here. Quick thinking and quick hands from Curwin Bosch who manages to get his kick away, rolling the ball inside the in-goal area but the Highlanders have all the numbers at the back. The Sharks draw first blood in the second half! Makazole Mapimpi cleverly taps the ball down for Lukhanyo Am who breaks away before releasing the pass inside to Dan du Preez who saunters away to score under the posts. Waisake Naholo attempts the chip over the top however the ball skews off the side of his boot and lands over the touch line on the full - an attacking opportunity here for the Sharks. Outstanding defence from Waisake Naholo! Makazole Mapimpi explodes down the left hand touch line and looks for all the world to be on his way to score in the corner however the Highlanders' right-winger flies in from nowhere to apply the try saving tackle. SECOND HALF - Curwin Bosch sends the ball deep and we are back underway at Kings Park. HALF TIME - The half time whistle sounds at Kings Park! The Sharks burst from the blocks scoring two early tries before the crowd had barely had time to settle into their seats. 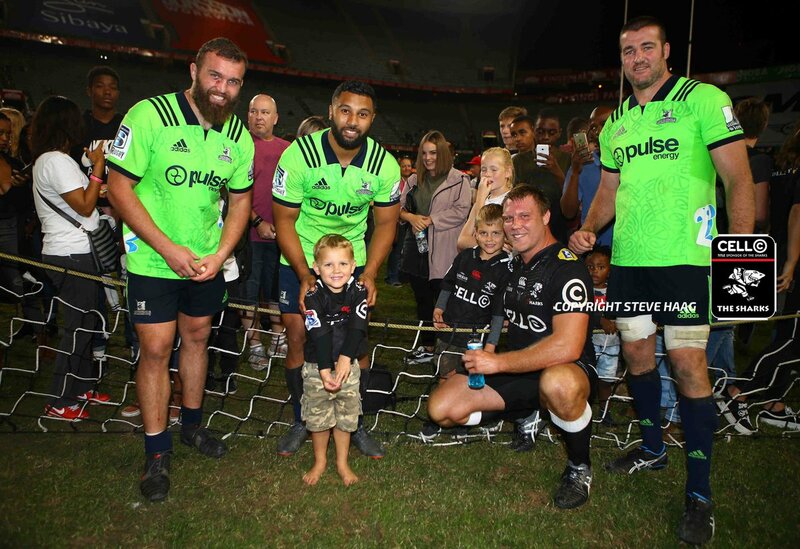 The Highlanders struck back with their first try before the home side settled with a Rob du Preez penalty goal. At half time it is the Sharks looking the goods, holding a 17-7 lead over the Highlanders. A review of the tape shows there wasn't much in it apart from a push and shove and so the original penalty to the Highlanders will stand. A huge dust up develops right on the stroke of half time - the penalty was originally awarded to the Highlanders but the TMO will have a look at exactly what sparked the melee. The Sharks take the quick tap after the Highlanders were penalised for offside - Cameron Wright has a dart at the line but is held up just half a metre from the paint. The Sharks are a huge chance here with possession just 10m out from the Highlanders' line and with the penalty advantage in their back pocket. Lukhanyo Am does well to block the Highlanders' attempted clearance however Aaron Smith is on hand for the visitors to scramble the ball with a quick kick up towards half way. A huge opportunity goes begging for the Sharks with a knock on from Tendai Mtawarira under pressure handing possession back to the Highlanders. The kick is good, the flags are raised and the Sharks give themselves some breathing space with half time fast approaching. A penalty to the Sharks and so Rob du Preez will line up from as good as straight in front of the posts. A huge up and under from Rob du Preez causes chaos and confusion at the back for the Highlanders - eventually Lima Sopoaga runs at it but it's too late and he succeeds only in knocking the ball forward. The Highlanders hit back with their first points of the match! A well constructed rolling maul from the visitors comes up just short of the line but they are able to shift it to the right where Dillon Hunt is able to dive through a gap in the line to find the chalk. A clever grubber kick has the Sharks scrambling back towards their own line - Cameron Wright wins the race for the ball and grounds it in goal for a 22m drop-out. 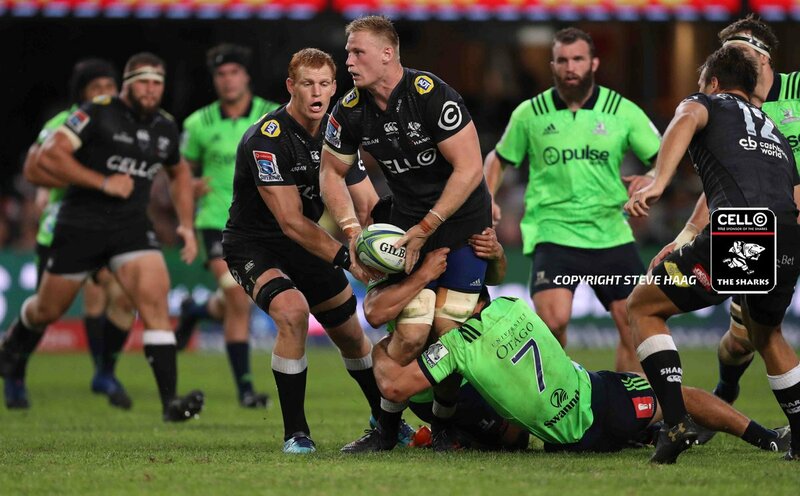 The Highlanders just have not been able to apply any sustained pressure on the Sharks' defence - it's a penalty to the home side right on their own line. 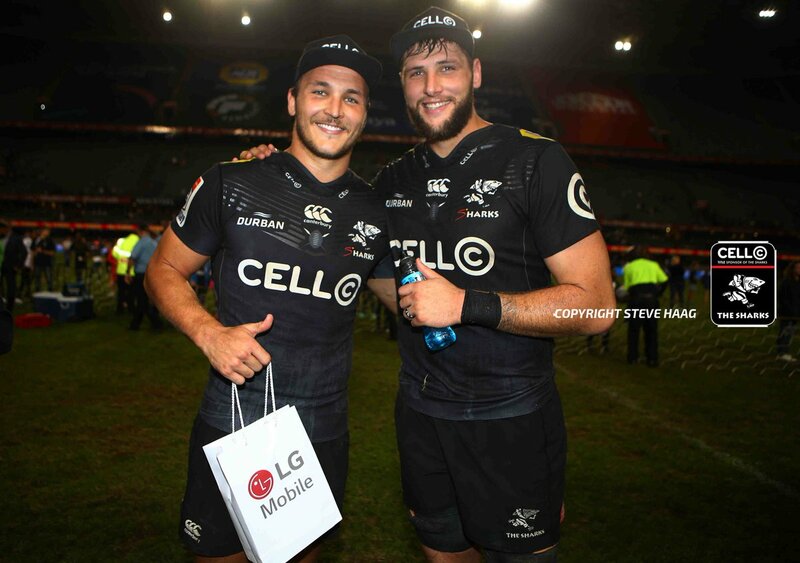 The Sharks' defence has been outstanding in this first half and, not for the first time, they come up with a vital turnover - this time it was Ruan Botha who ripped the ball free. The turf here at Kings Park is breaking up quite badly under foot which is making it diffcult for the players to get a solid footing, especially at scrum time. 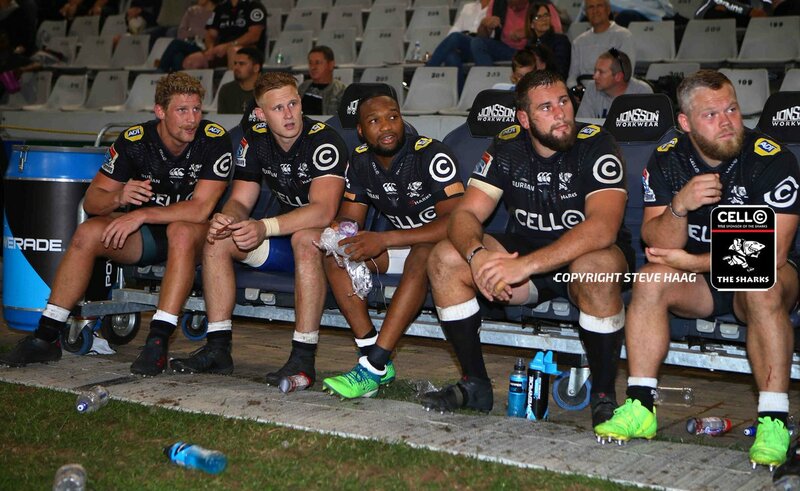 The tempo of this match has settled somewhat into a more regular pattern after the blistering start from the Sharks that yielded two tries in the opening ten minutes. Dan du Preez loses the ball forward in the tackle from Aaron Smith and the Highlanders are awarded the scrum feed just short of half way. Lima Sopoaga in an excellent position inside his 22 to field the kick from Rob du Preez, sends his return into touch right on the Highlanders' 10m line. An excellent kick from Rob du Preez finds touch deep inside the Highlanders' 22 to put the home side once again on the front foot. 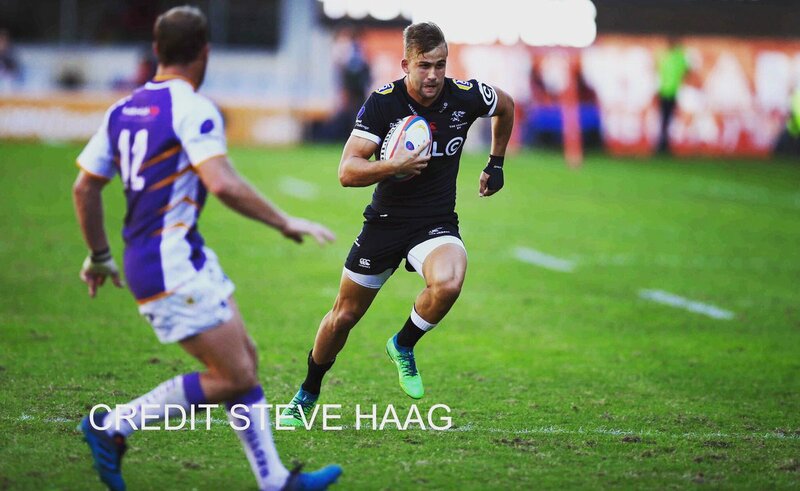 The Sharks win a crucial turnover right on their own line before Jean-Luc du Preez hacks the ball downfield with an excellent kick that rolls into touch over the half way line. The Highlanders, who simply haven't been able to get a foothold in the opening minutes of this half, have an attacking opportunity here with the Sharks penalised for offside. What a start from the Sharks!! Quick hands in turn from Tendai Mtawarira and then Rob du Preez has Makazole Mapimpi surging towards the corner - the left winger runs straight over the top of Lima Sopoaga and crosses the line. So close for the Sharks! André Esterhuizen bursts toward the try line and seems certain to score but he runs straight into Waisake Naholo and loses a grip on the ball over the line - a huge opportunity lost for the home side. 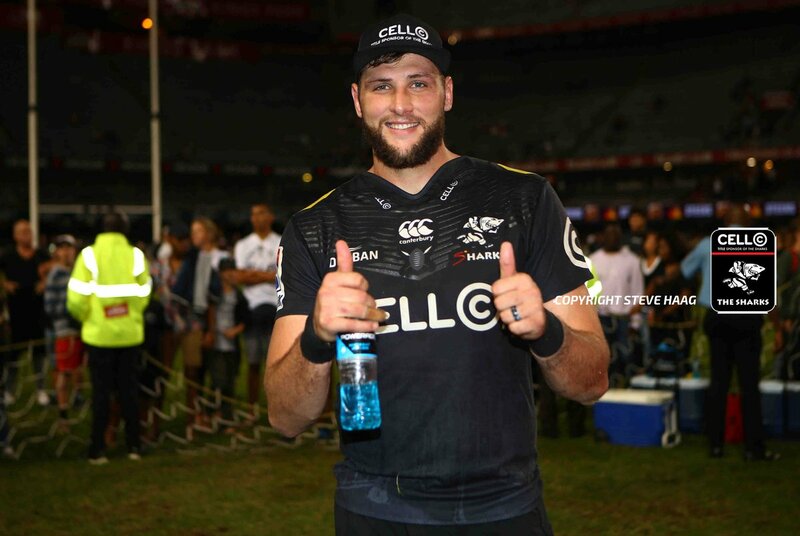 Akker van der Merwe goes to the front of the line out with his throw catching the Highlanders' defence on the back foot and the Sharks are on the front foot once again. 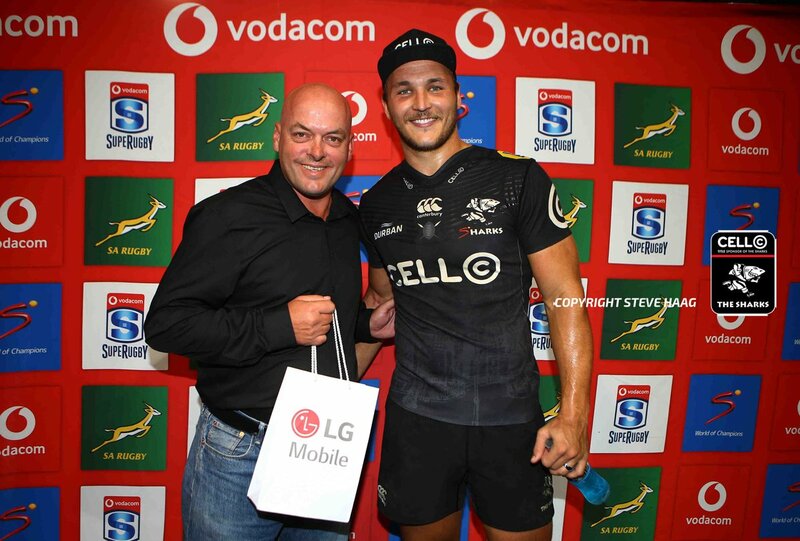 It's a dream start for the Sharks! Ruan Botha pinches the high ball from the claws of Lima Sopoaga before sending Akker van der Merwe on a path to the try line. FIRST HALF - Lima Sopoaga, the hero from last week, kicks off to get us underway! The Highlanders currently sit in 3rd position in the New Zealand conference but have a chance to close the gap this evening on the second placed Hurricanes. 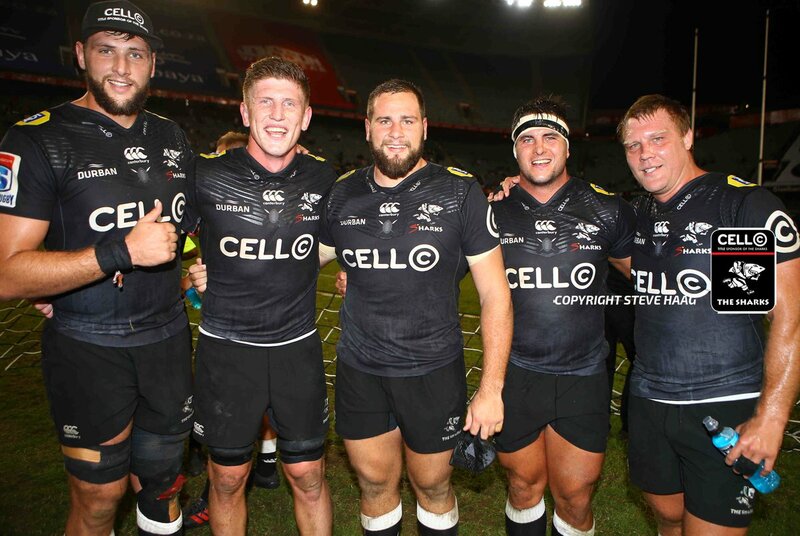 They have been in excellent form with three wins on the bounce including a heart stopper on the road against the Bulls in Pretoria last week. 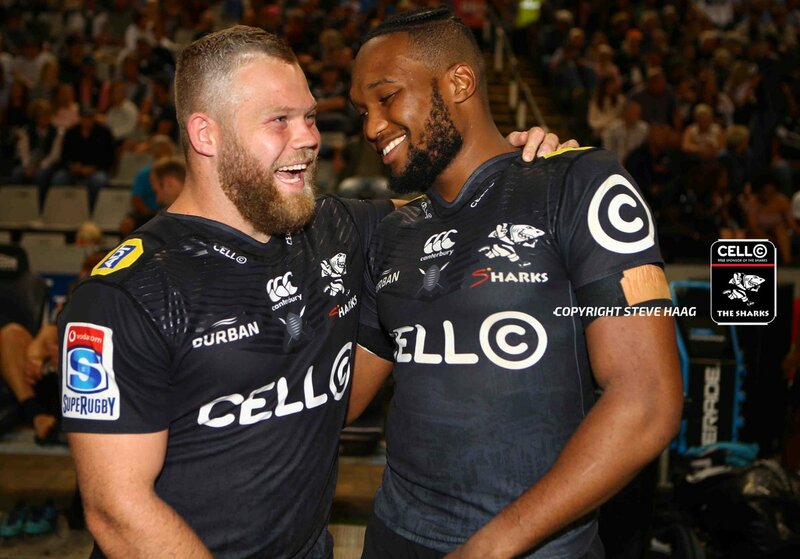 The Sharks' form has been up and down throughout their 2018 campaign so far and the men from Durban currently sit in bottom position in the South African conference. 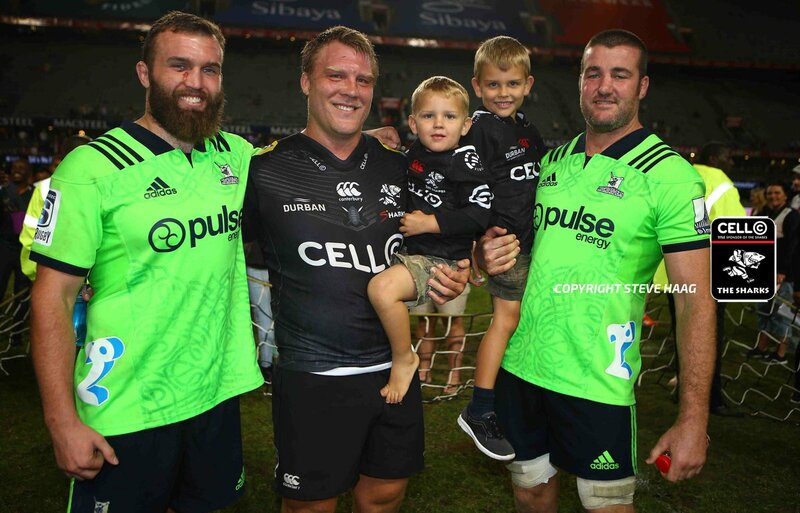 They come into this match with some confidence following a victory last start against the Stormers and will be rested after having the bye last week. Welcome to Kings Park in Durban where week 12 concludes with the clash between the Sharks and the Highlanders. 70"| 10 minutes left to play and #OurSharks are well in the ascendency! 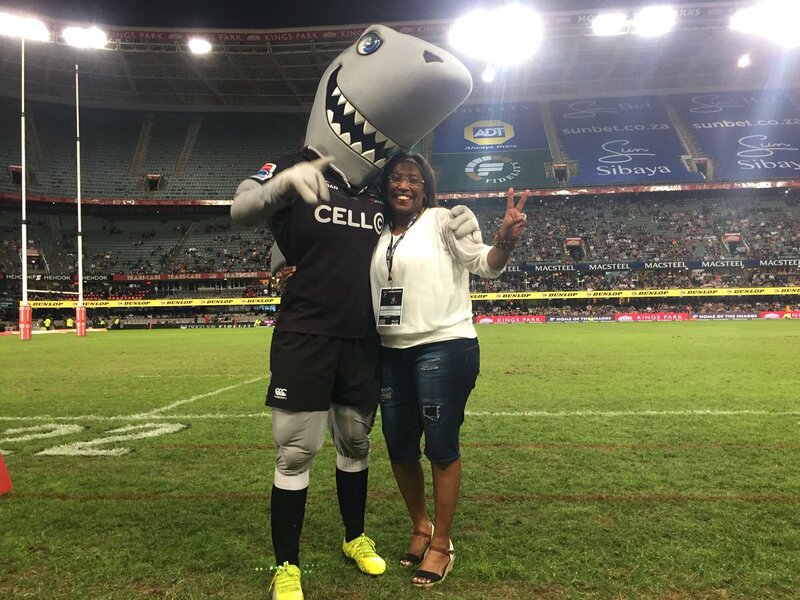 59"| @CellC Sharks coach rings the changes as four players make their way on to the field. 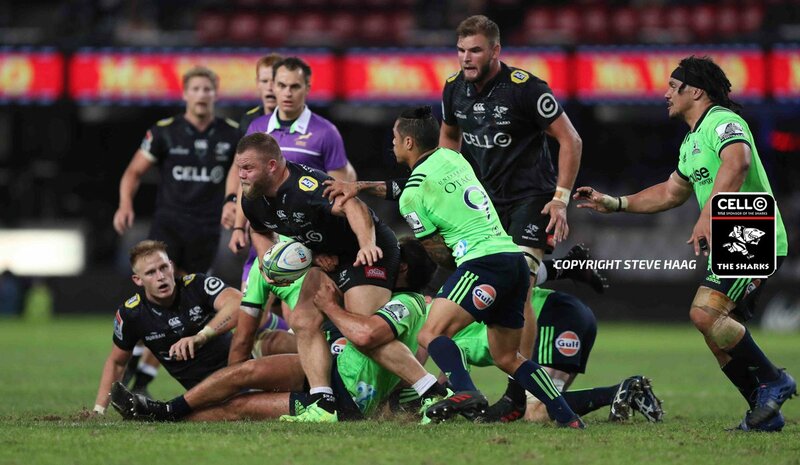 54"| Knock-on by #OurSharks on attack... Another opportunity for our scrum to put pressure on the @Highlanders. 53"| Another scrum penalty for #OurSharks leads to a kick for touch by R.du Preez. 50"| Coach Rob du Preez makes a change to the second row.